It’s a week of all new ARTHUR! Tune in for new episodes on WSKG-TV at 3:00pm beginning Monday, May 23, 2016 through Friday, May 27, 2016. 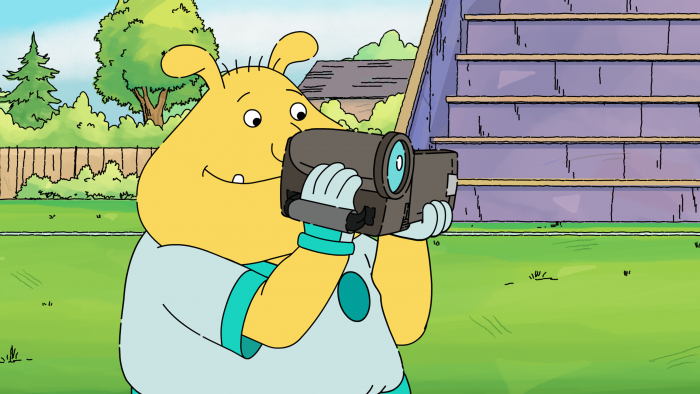 Tuesday’s Episode: When Binky’s grandparents miss his big soccer game, he decides to film a video reenactment with his friends. Only, things didn’t quite happen the way Binky portrays them. Educational Objective: Binky learns there are many ways to tell a story. ARTHUR & the other Marc Brown ARTHUR characters and underlying materials (including artwork) TM and © 2016 Marc Brown.